We specialize in building high performance engines. We try to make "horsepower" affordable to everyone. So, call us when you want to add horsepower to your engine. See below for more information. If you are looking to build a high performance engine that offers both speed and reliability, then Scott's Machine is the right engine shop for you. We specialize in high performance engines. Our 26 years of experience in building high performance and championship racing engines and our passion for horsepower is well known. At Scott's Machine, we do not mass produce engines. 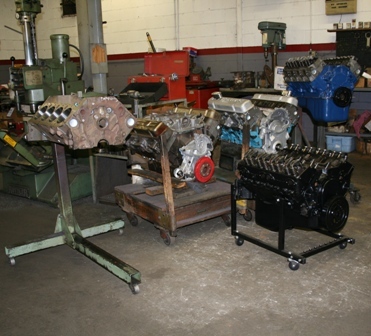 We custom build engines one at a time with your needs in mind. If what you need is more horsepower, we are here to help you. Our secret to building powerful, high quality, and reliable engines is our complete control of every phase of the engine machining and assembly. 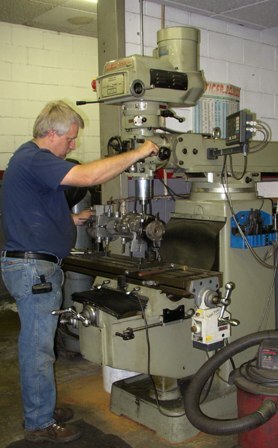 All of our machine work is performed in-house at Scott's Machine using the latest high-performance technology available and only quality parts are used in the engine assembly. Our goal is to build maximum performance and reliability into your engine because our reputation as an engine builder is important to us. When you win, we win.